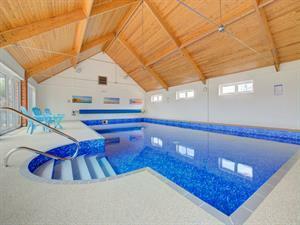 A comfortable barn conversion on one level, with open plan living, and all year round access to a heated indoor swimming pool. Roughton is tucked away behind the popular coastal resorts of Cromer and Overstrand, and Jonas Farm Barns enjoys open views to the coast. The Aldborough offers weekly bookings starting on Friday.